Social reformer Kamaladevi Chattopadhyay has been honoured with Google Doodle on her 115th birth anniversary. Kamaladevi Chattopadhyay was honoured with a Google Doodle on her 115th birth anniversary. New Delhi: Kamaladevi Chattopadhyay, the firebrand social reformer, has been honoured with a Google Doodle on her 115th birth anniversary. From persuading Mahatma Gandhi to call upon women to march with him in the Indian Independence Movement to reinvigorating the culture of Indian handicrafts, handlooms, and theatre, Kamaladevi Chattopadhyay wore several hats during her lifetime - the one of freedom fighter, art enthusiast, social activist, actor, youth leader, and forward-thinking women's movement organiser. 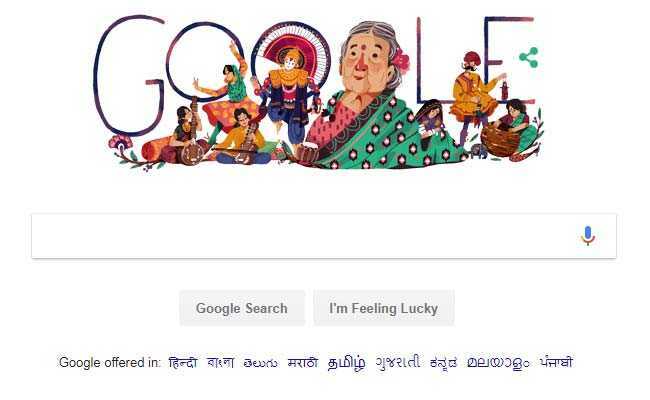 The Google Doodle, designed by Finland-based artist Parvati Pillai, depicts Kamaladevi Chattopadhyay "surrounded by many of the cultural objects and practices she fought to elevate and protect, including the bhangra, the sitar, the sarangi, kathak, chhau dance, embroidery, basket weaving, and Kathaputli," Google wrote in a post. She had a rebellious streak and a questioning mind since her childhood. She pressed for Uniform Civil Code to ensure gender equality and spoke against the caste bias and child marriage. Born in Mangalore, Kamaladevi Chattopadhyay was a bright child. Her rebellious streak was visible even as a child, when she questioned the aristocratic division of her mother's household and preferred to mingle with her servants and their children to understand their life. 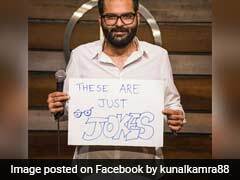 She got married at the age of 14 and was widowed two years later. At a time when widow remarriage was considered a taboo, she married Harindranath Chattopadhyay when she was 20. Kamaladevi Chattopadhyay had many firsts to her credit. She was the first woman in India to run for Legislative office and also the first woman in India to set up some of the first national institutions to archive, protect, and promote Indian dance, drama, art, puppetry, music, and handicrafts. Kamaladevi Chattopadhyay was also one of the few women of her time to propose that women's rights, religious freedoms, environmental justice, political independence, and civil rights are all interrelated movements. In 1974, she was awarded the Sangeet Natak Akademi Fellowship the highest honour conferred by the Sangeet Natak Akademi. For her numerous contributions to India, she was awarded the Ramon Magsaysay Award in 1966, Padma Bhushan in 1955 and Padma Vibhushan in 1987.